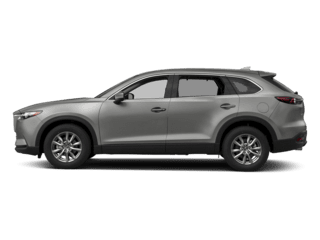 BACKUP CAMERA~, XM RADIO~, BLIND SPOT WARNING~, HEATED MIRRORS~, RAIN SENSING WIPERS~, MAZDA CERTIFIED PRE-OWNED WARRANTY / CPO ~, BLUETOOTH ~, CARFAX CERTIFIED ~, HANDS FREE ~, LOW MILES ~, MUST SEE ~, NON-SMOKER ~, ONE OWNER ~, PREMIUM WHEELS ~, RARE ~, REAR BACKUP CAMERA ~, BLIND SPOT WARNING, XM RADIO, AUTO ON / OFF HEADLIGHTS, RAIN SENSING WIPERS, HEATED MIRRORS, 16" Alloy Wheels, Automatic On/Off Headlights, Blind Spot Monitor w/Rear Cross Traffic Alert, Body-Color Power Folding Heated Exterior Mirrors, Preferred Equipment Package, Premium Cloth Seats, Rain-Sensing Windshield Wipers, Rear Seat Armrest w/Cupholders. 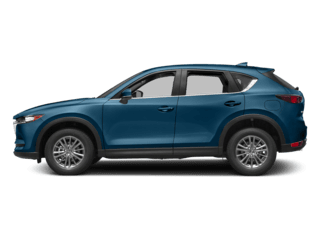 KBB Fair Market Range High: $14,634 KBB Fair Market Range Low: $12,427 Mazda Certified Pre-Owned Details: * Includes Autocheck Vehicle History Report with 3 Year Buyback Protection * Powertrain Limited Warranty: 84 Month/100,000 Mile (whichever comes first) from original in-service date * Limited Warranty: 12 Month/12,000 Mile (whichever comes first) after new car warranty expires or from certified purchase date * Transferable Warranty * Vehicle History * 160 Point Inspection * Warranty Deductible: $0 * Roadside Assistance 2016 Mazda Mazda3 i Sport Deep Crystal Blue Mica CARFAX One-Owner. 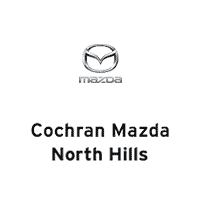 FWD 6-Speed Automatic SKYACTIV®-G 2.0L 4-Cylinder DOHC 16V 30/41 City/Highway MPG Awards: * 2016 KBB.com 10 Best Sedans Under $25,000 Plus, with #1 Cochran's Market Based Pricing you can feel confident that you are receiving the Best Price and Value available to You! #1 Cochran has been providing the Tri-State area with excellent sales and service experiences for 50 Years. STOP! Buy Today! Let YOUR #1 Cochran experience begin! 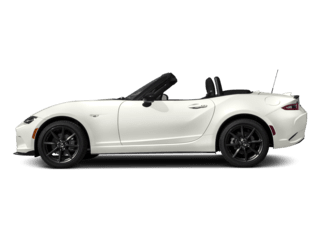 MOONROOF~, BLIND SPOT WARNING~, BACKUP CAMERA~, HEATED MIRRORS~, FOG LIGHTS~, RAIN SENSING WIPERS~, MAZDA CERTIFIED PRE-OWNED WARRANTY / CPO ~, BLUETOOTH ~, CARFAX CERTIFIED ~, HANDS FREE ~, MUST SEE ~, NON-SMOKER ~, ONE OWNER ~, PREMIUM WHEELS ~, RARE ~, REAR BACKUP CAMERA ~, SUNROOF / MOONROOF ~, BLIND SPOT DETECTION, HEATED MIRRORS, RAIN SENSING WIPERS, FOG LIGHTS, AUTOMATIC ON / OFF HEADLIGHTS. KBB Fair Market Range High: $15,741 KBB Fair Market Range Low: $13,368 Mazda Certified Pre-Owned Details: * 160 Point Inspection * Transferable Warranty * Vehicle History * Includes Autocheck Vehicle History Report with 3 Year Buyback Protection * Powertrain Limited Warranty: 84 Month/100,000 Mile (whichever comes first) from original in-service date * Limited Warranty: 12 Month/12,000 Mile (whichever comes first) after new car warranty expires or from certified purchase date * Roadside Assistance * Warranty Deductible: $0 2016 Mazda Mazda3 i Snowflake White Pearl Mica CARFAX One-Owner. FWD 6-Speed Automatic SKYACTIV®-G 2.0L 4-Cylinder DOHC 16V 30/41 City/Highway MPG Awards: * 2016 KBB.com 10 Best Sedans Under $25,000 Plus, with #1 Cochran's Market Based Pricing you can feel confident that you are receiving the Best Price and Value available to You! #1 Cochran has been providing the Tri-State area with excellent sales and service experiences for 50 Years. STOP! Buy Today! Let YOUR #1 Cochran experience begin! 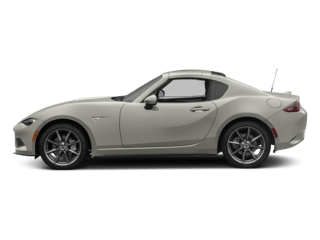 MOONROOF~, BLIND SPOT WARNING~, BACKUP CAMERA~, AUTO ON / OFF HEADLIGHTS~, MAZDA CERTIFIED PRE-OWNED WARRANTY / CPO ~, LOCAL TRADE, BLUETOOTH ~, CARFAX CERTIFIED ~, HANDS FREE ~, LOW MILES ~, MUST SEE ~, NAVIGATION ~, NON-SMOKER ~, ONE OWNER ~, PREMIUM WHEELS ~, RARE ~, REAR BACKUP CAMERA ~, SUNROOF / MOONROOF ~, Auto-Dimming Interior Mirror, Dual-Zone Automatic Climate Control, MAZDA CONNECT Infotainment System, Popular Equipment Package, Radio: AM/FM/CD/HD w/Single CD. 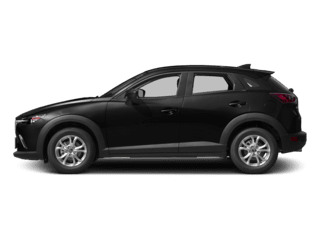 KBB Fair Market Range High: $16,641 KBB Fair Market Range Low: $14,268 Mazda Certified Pre-Owned Details: * Limited Warranty: 12 Month/12,000 Mile (whichever comes first) after new car warranty expires or from certified purchase date * Powertrain Limited Warranty: 84 Month/100,000 Mile (whichever comes first) from original in-service date * Roadside Assistance * Warranty Deductible: $0 * Vehicle History * Transferable Warranty * 160 Point Inspection * Includes Autocheck Vehicle History Report with 3 Year Buyback Protection 2016 Mazda Mazda3 i Touring Deep Crystal Blue Mica CARFAX One-Owner. 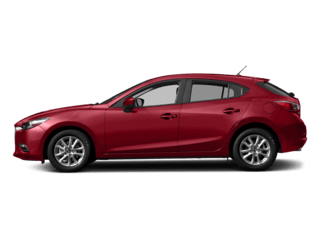 FWD 6-Speed Automatic SKYACTIV®-G 2.0L 4-Cylinder DOHC 16V 30/41 City/Highway MPG Awards: * 2016 KBB.com 10 Best Sedans Under $25,000 Plus, with #1 Cochran's Market Based Pricing you can feel confident that you are receiving the Best Price and Value available to You! #1 Cochran has been providing the Tri-State area with excellent sales and service experiences for 50 Years. STOP! Buy Today! Let YOUR #1 Cochran experience begin! 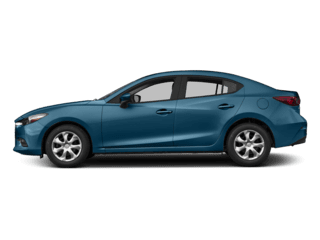 MOONROOF~, BOSE AUDIO~, XM RADIO~, BACKUP CAMERA~, BLIND SPOT WARNING~, 7" COLOR TOUCH SCREEN~, HEATED MIRRORS~, AUTO ON / OFF HEADLIGHTS~, MAZDA CERTIFIED PRE-OWNED WARRANTY / CPO ~, BLUETOOTH ~, CARFAX CERTIFIED ~, HANDS FREE ~, LOW MILES ~, MUST SEE ~, NAVIGATION ~, NON-SMOKER ~, ONE OWNER ~, PREMIUM WHEELS ~, RARE ~, REAR BACKUP CAMERA ~, XM RADIO, HEATED MIRRORS, Auto-Dimming Interior Mirror, Dual-Zone Automatic Climate Control, MAZDA CONNECT Infotainment System, Popular Equipment Package, Radio: AM/FM/CD/HD w/Single CD, SiriusXM Satellite Radio. KBB Fair Market Range High: $16,697 KBB Fair Market Range Low: $14,324 Mazda Certified Pre-Owned Details: * Transferable Warranty * Vehicle History * 160 Point Inspection * Includes Autocheck Vehicle History Report with 3 Year Buyback Protection * Roadside Assistance * Powertrain Limited Warranty: 84 Month/100,000 Mile (whichever comes first) from original in-service date * Limited Warranty: 12 Month/12,000 Mile (whichever comes first) after new car warranty expires or from certified purchase date * Warranty Deductible: $0 2016 Mazda Mazda3 i Deep Crystal Blue Mica CARFAX One-Owner. 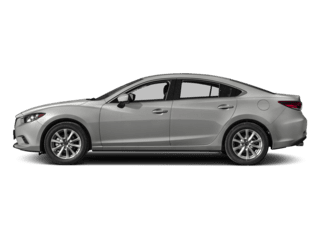 FWD 6-Speed Automatic SKYACTIV®-G 2.0L 4-Cylinder DOHC 16V 30/41 City/Highway MPG Awards: * 2016 KBB.com 10 Best Sedans Under $25,000 Plus, with #1 Cochran's Market Based Pricing you can feel confident that you are receiving the Best Price and Value available to You! #1 Cochran has been providing the Tri-State area with excellent sales and service experiences for 50 Years. STOP! Buy Today! Let YOUR #1 Cochran experience begin!